The public support gathering and fundraising drive for the Hawaiian Cultural Center Village was officially opened about noon on August 16th, 2014. 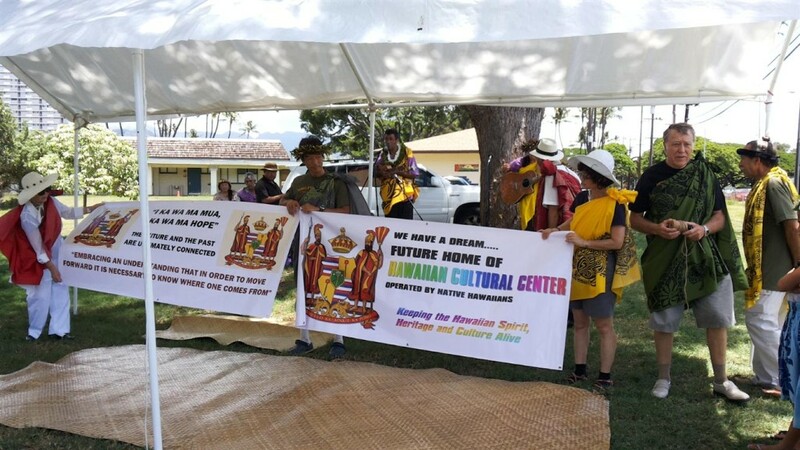 Ceremonial Pu (Shell Horn blowing), Oli (Hawaiian Chant) and the unfolding and wearing of the Kihei (Hawaiian ceremonial cloth) preceded the unrolling of the banners publicizing the “WE HAVE A DREAM” Hawaiian Cultural Center Village project. From their morning performance at the Sheraton Hotel in Waikiki, the Hawaiian Hula Dancer group Hula Halau O Pua Kapele under the direction of Auntie Pua Kapele Halau from Kaneohe preceded to the Jefferson school site in Waikiki, enchanting guests with a free performance of their graceful authentic hula dances. 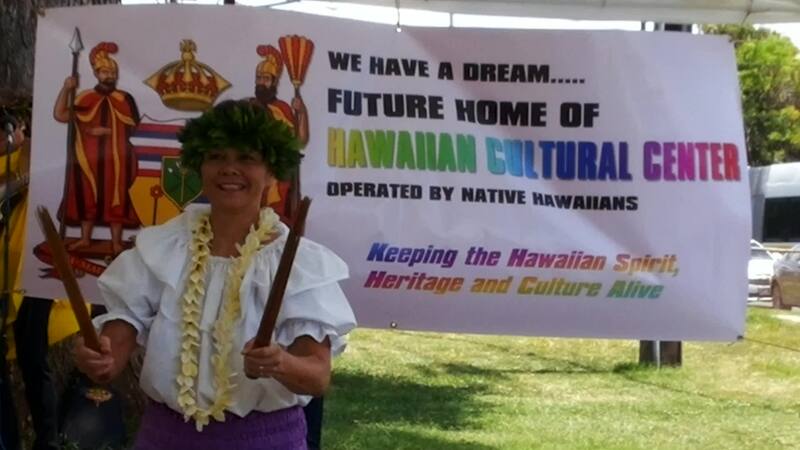 Auntie Pua has been recognized and honored by the State of Hawaii for sharing the culture of hula for decades at the Lexington Hotel in New York City. 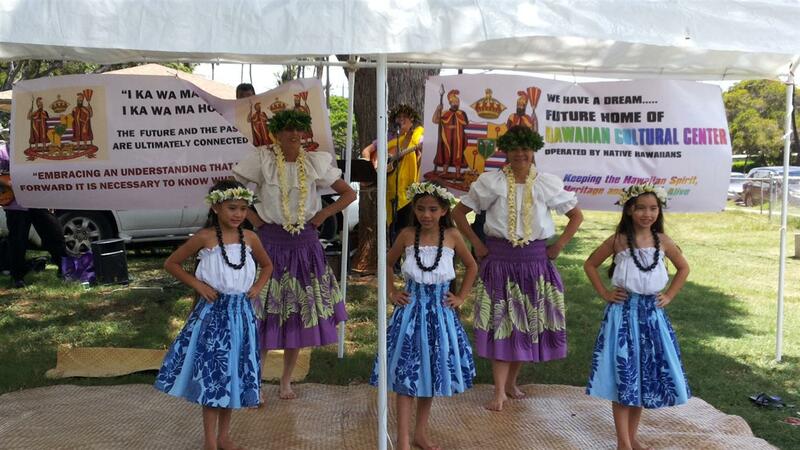 Hawaiian music continued during the early afternoon while Historian Kumu Waianuhea was giving free hula lessons.